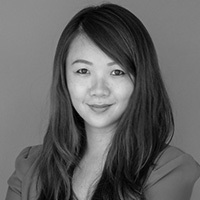 Rachel Tan is a member of Shopee Malaysia’s management team and she leads the Marketing arm of Shopee. Her role includes overseeing all partnerships, PR, campaigns, social media, digital, and offline activations. Rachel has more than 8 years of experience in advertising and marketing helping brands with their digital strategies. Prior to Shopee, she joined Nuffnang (Asia Pacific’s largest blogging community) under the Media Sales department in 2010. With only 5 people in the team then, she developed new business opportunities through innovative campaign ideas and pitches. She climbed her way up over the years with astounding performances as an Account Executive, Account Manager, Head of Sales, Assistant Country Manager in 2013 and finally at age 26 as Nom Nom Media’s Country Manager in January 2015. Her first venture into the advertising industry although by chance has allowed her to seek knowledge in a fast growing industry. During her time there, she has launched various companies including social media community, Churp Churp in 2009, social media agency Nom Nom Media in 2010 , online video production company, Reelity TV in 2013 and as Country Manager, she successfully managed the restructuring, sales workflow, and operations up until parent company, Netccentric’s recent ASX IPO listing in late 2015. Her work in the social and digital industry has brought her a wide range of client and brand experience across the region and across all categories, which will help make a difference in the growing market of e-commerce and m-commerce industry. Rachel graduated with a Bachelor of Communication degree from Monash University.